You may be subject to import duties and taxes. Customs policies vary widely from country to county and we have no control over these charges, we cannot predict what they may be. When in doubt, please contact your local customs office for further information. All additional charges for customs clearance are the responsibilty of the customer. Thank you. The contract of purchase between Gress Schuh GmbH and the customer is legally valid only upon delivery of the goods by our partner DHL. The Gress Schuh company reserves the right to cancel orders after receipt of the order confirmation by the customer. This can for example be necessary due to a faulty presentation of our website caused by a technical problem. How may I return or exchange shoes that do not fit or I do not like? In case you are not satisfied with the products you have received, you have for sure the option to send the goods back to us, latest 30 days after reception of your parcel. Please be so kind to send us the goods which you do not wish to keep in the original Birkenstock® shoe box and without any trace of usage. The shoes should not have been in any way modified or changed. In case you do not want an exchange, we can refund you the complete order value (however excluding the freight costs) or the value of the shoe you have sent us back. We will then make the restitution of the order/shoe on the credit card you have used for placing your purchase order or transfer the money on your account in case you have chosen advance payment. Please be so kind to use the packing slip you got with your parcel to accompany your returns or use the return form you find here or received with your order confirmation. This will help us to allocate the return to your order. Please let us know whether you wish an exchange or a refund. We will try our best to deal with your return the fastest. In case you need your shoes as soon as possible, we recommend you to pass a new order on our website (however you will need to once again pay for postage). Our customers have to carry all freight costs for returning goods to us. Please note that additional costs can occur if sending with courier services like Fedex, GLS and others. These extra costs won’t be borne by our company! For returning goods to us, please be so kind to use the original Birkenstock® shoe box. You have the option to use any courier or delivery company for sending the goods back to us. Please be so kind to indicate your customer number in our address. This helps us a lot to treat returned parcels at the customs. Kindly be informed that we try our best to ensure that article descriptions and illustrations are as accurate as possible. However, slight variations might occur. Please consider that colours might differ according to your computer screen resolution and settings. The easiest way to pay your order is via credit card. The following cards are accepted: VISA, American Express, MasterCard und Eurocard. You have also the option to create a PayPal account for free (for more information, please check “www.paypal.com“). In case you do not wish to pay via credit card or PayPal, you can choose advance payment. On your order confirmation you will find our International Bank Account Number and Bank Identification Code (IBAN and BIC),to transfer the whole amount of your order. Your order will be dispatched as soon as we have registered your payment. Please consider that this might last a couple of days. To make credit card payments as safe as possible we apply SSL encryption technology. This means that the credit card data we receive from our customers are only transmitted via an encrypted link. The name of the credit card holder as well as the credit card numbers and the expiry date are shown on the front side of the card. Visa and MasterCard have a three-digit verification code (three numbers at signature field) on the back side of the card. American Express cards have four-digit verification codes on the front side of the card. These codes increase your payment security. How does our company conduct refunds? In case you have sent your parcel back to us and wish a refund, we will then proceed it on the credit card you have used to pass your order or on your PayPal account if you had chosen this payment method. The lead time is approx. 3 to 6 days before reception of the refund on your account. Depending on your credit card institute, it might be that you first see the refund on your credit card statement at the end of the month. In case you chose advance payment while passing your order, we need you to communicate us your account details, such as your International Bank Account Number (IBAN) and your Bank Identification Code (BIC). You can find these information on your bank account statement or please ask your bank institute. How do I know that my purchase order was validated? Few minutes after you have passed your order and it was correctly registered in our system, you will receive your order confirmation per email. In case you have not received our email, please check your spam order. If you really cannot find your order confirmation, this probably means that your order did not go through. In this case, please inform us per email under contact@footshopping.com, so that we can check what happened and inform you accordingly. In the event you have received two order confirmations per email, please contact us as soon as possible. It might be that you accidentally have ordered twice. If you have sent us an email and did not get any answer within 24 hours (except weekend) your computer has possibly classified our answer as a junk-email or spam. Please check the spam or junk-email file of your mail account. Our website is SSL secured (Sockets Layer Software). This means that all your personal information and data will go through an encryption process and converted, so that no third party can have access to these information. Your references remain in our company and system and will not be at any case forwarded to other companies. Since you order on our website, this gives us the right to contact you, as regards your purchase order, either per email, post or telephone. What is the function of the customer login? The purpose of our customer login is to simplify the input of your future orders. Indeed, thanks to your customer login, you do not need to type in your delivery address each time you order on our website. You can use this function, as soon as you have registered your email and choose your password. You can register while ordering. Can I cancel my purchase order after confirmation? If you wish to cancel your order, please send us an email under contact@footshopping.com and mention your order confirmation number. We can stop the shipment of your parcel and cancel your order if we have not yet forwarded your data and order details to our logistic partner. We would then refund you the complete order value. What can I do in case I have noticed a mistake in my order confirmation? In case you have noticed that you have for instance ordered the wrong item or the wrong shoe size, please send us the soonest an email under contact@footshopping.com. We can stop the shipment of your parcel and cancel or modify your order, only if we have not yet forwarded your data and order details to our logistic partner. Please check your order very carefully before confirmation. What can I do in case I have received defective goods? The name and company Birkenstock® stands for very good quality and high treatment of best materials. However failures may happen. Please inform us as soon as possible per email under contact@footshopping.com, in case you have received defective goods and be so kind to mention your order confirmation number or customer number. We will handle your reclamation as soon as possible. What can I do in case I have lost a shoe buckle, a rivet broke etc.? Please inform us per email under contact@footshopping.com and be so kind to mention your order confirmation number or customer number. In case you do not have access to these information any longer, please mention the name of the person who placed the purchase order and the delivery address. This will help us to find you in our system. We will contact you the soonest and let you know how to proceed according to the type of damage (for instance shipment of a replacement part or possible reparation through the After Sales Service of Birkenstock®). The appropriate shoe size is the precondition for an optimal comfort and soundness for your feet. 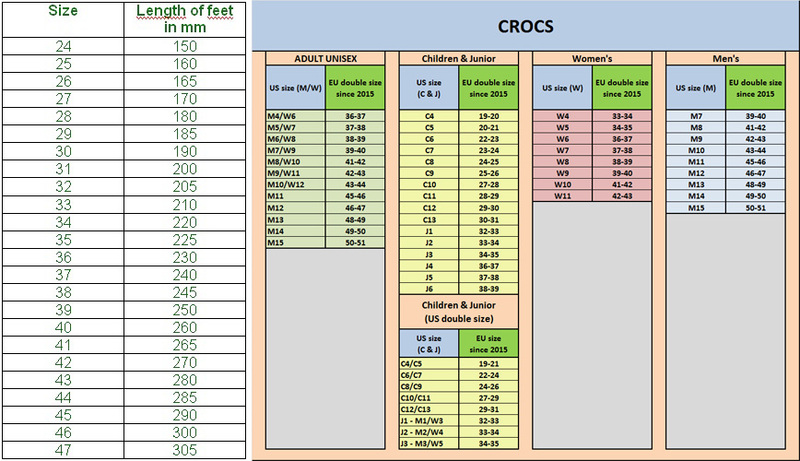 Our size table might help you to choose the accurate shoe size. Please place your naked foot on a sheet of paper and draw the contour lines of your foot. Then measure the longest distance between your big toe and heel. Thanks to the above table you can now find out which size fits you best. However, please consider that your shoe fit also depends on how the shoe model is cut and on your individual preferences and foot structure. The table has only a guidance purpose! When buying BIRKENSTOCK® footwear, please ensure you are getting the correct length as well as the correct width. Getting the correct size will extend the life of your sandals tremendously and you’ll enjoy wearing them a lot more. You should have several millimetres of space in the heel and toe area. This small amount of extra room ensures the natural rolling motion of the foot without restrictions - just as if you were barefoot. Your toes and heel should not touch the rim of your sandals while standing in them. Please note that BIRKENSTOCK® footwear may not be suitable for children under 3 years old. Narrow or regular? What width should I choose? If you have quite sturdy feet, please choose our regular/large model. We advice the narrow version of our shoes for customers with particularly slender feet. The difference between narrow and large is approx. over 0,5 till 0,8 cm. Your feet should have the right fit into the footbed form, but not too narrow. Your toes and heels should have enough room allowing them free movement. Do you happen to have some Birkenstock® shoes at home? If so, please pay attention to the footbed of your shoe: indeed, a small foot draft will let you know which width you should wear. If the foot draft is filled, then you have slender/narrow feet, if it is not filled (only the outline) then you have large feet. If you do not possess any Birkenstock® shoes and you are still not sure about the width you need, the only thing that helps is trying. You are the only one that know what fits you best. Furthermore, as far as the shoes do not have any traces of usage, you can also send them back to us and ask for an exchange (please read also the paragraph over How may I return or exchange shoes that do not fit or I do not like?). How to maintain my Birkenstock® shoes? Most of our items are out of genuine leather. Since leather is a natural material, the natural differences in the surface texture are a typical characteristic which proves that genuine leather is used. All smooth leather parts of your shoes or sandals can be maintained with commercially available products. The footbed of your shoes or sandals can easily be cleaned with a humid cloth and little ordinary soap. But please pay attention, since leather does not tolerate contact with water! To give good care to your nubuck leather sandals or shoes please use a special nubuck cleaner such as available in your local stores. They have a special cleaning bar to remove stains and a brush to eliminate dirt. For models out of genuine leather, you can remove scratches rubbing the surface using your heel of hands or palm. You do not need to remove eventual grease stain. They will indeed disappear with the time. To give good care to your suede articles please use a special suede cleaner such as available in your local stores. They have a special cleaning bar to remove stains and a brush to eliminate dirt. In order to clean models out of Birko-Flor®, you only need to use a humid cloth. You can without any problem wipe off the upper material. In order to have an optimal comfort while wearing Birkenstock® models, the insole is out of undyed suede. In order to keep the leather smooth, you should regularly brush the insole. Genuine natural leather has a unique surface structure, which varies in its colour. No artificial dyes are used to cover up these differences but leave them the way nature intended. This way the leather retains its pores and its ability to breathe. The smooth leather used for Birkenstock® uppers is thick though very supple. Smooth leather feels very fine-scarred and even and has a shiny surface. Due to its high elasticity and tensile strength, this material is steadily guaranteed against external influences and so a long life span. Furthermore, smooth leather is carefree and air-permeable. The suede leather is also extremely strong and supple and is, as all leathers used by Birkenstock®, dyed rather than sprayed, allowing maximum breathability. The natural differences in the surface texture is a characteristic that proves that only genuine leather is used. Nubuck leather is a full grain leather whose natural characteristics are enhanced by buffing the top layer. This creates the velvety finish unique to nubuck leather. The bark-life surface structure gives the Birkenstock® embossed leather a particularly expressive character. Birko-Flor® is a material developed by Birkenstock® as an alternative to leather. Birko-Flor® is made of soft acrylic and polyamide felt fibres with a durable smooth leather like finish. Birko-Flor® is skin-friendly, tear-proof and easy-care material. The upper layer of this material has a leather like structure and soft fleece is built into the lower layer. Thanks to a special finishing process, this material has a leather like surface texture, resembling nubuck and has the same features as Birko-Flor®. but still air-permeable and skin-friendly. The micro-fibre used by Birkenstock® is a high quality material with a nubuck-like look. Micro-fibre is extremely durable and lightweight; it is easy to clean and retains its colour. It is a very breathable material, which ensures a skin-friendly environment for the foot. Micro-fibre is used both for uppers and as a footbed liner. The Boiled wool are woven textiles which surfaces are felted by pressing in such a way that the original weave is hardly or not at all recognizable. Boiled wool must contain a minimum of 20% wool. It is windproof, water-repellent, durable, wrinkle-free and warm . Vegetable tanned leather is tanned using bark mulch, which creates the unique glimmer of the uppers both in colour and brilliance. The process uses plant extracts that create a variety of colour tones, as well as retaining its pores and breathability. The high quality requirements are particularly applied for wool, as with all uppers used by Birkenstock®. Fleece wool proves itself in all weather conditions and protects, thanks to its natural characteristics against various environmental influences. When it is cold, fleece wool will keep your feet warm and when it is warm, fleece wool works pleasantly chilly. Birko-Flor®, Birko-Flor® Nubuck and Birko-Felt are materials that are exclusively produced for Birkenstock®. I have a question to whom I did not find any answer to. In case you have other questions or comments, do not hesitate to send an email under contact@footshopping.com. We will answer you the soonest possible.